If you already have a google/YouTube account, please sign in using the link above before viewing the articles. A Google account is a free service. 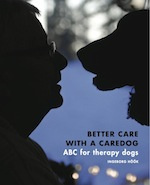 Articles and videos presented on this web site are intended to promote education and awareness of animal-assisted therapy and animals as assistive technology options.